Love training in Guildford in Surrey. Conducted a Visio training course in the offices at Cathedral Hill. What with the post training support, comprehensive manuals, online training videos and a patient, enthusiastic trainer, all students were ready and equipped to get started. Do we have a tutorial on how to plot a graph in Excel? Yes we do. Are you able to help me design a company brochure? Yes we can. I need to upgrade from Excel to a Microsoft Access database. We can help. 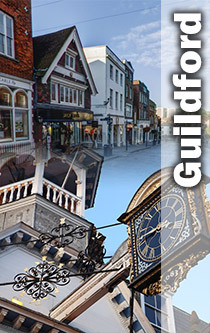 Are you in the centre of Guildford? Or on the Guildford business park (gbp)? 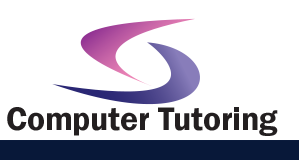 Then let us come to you bringing software ready laptops, manual, projectors, power leads, in fact all that you need so that you concentrate on your training. Guildford is a great location for an Excel training course in Surrey. You know sometimes you just need that little helping hand or a little bit of motivation to get you started in Excel. It's amazing at how many trainees have heard of Pivot Tables, heard how wonderful they are. You know, they will even extol the virtues of why Pivot Tables are so amazing. However, they've never used them. The same students, 10 minutes later, are amazed at just how easy it is to create a Pivot Table. The once they learn how to do that they are motivated to move on to calculations within Pivot Tables. Maybe creating their first calculated field. Now it's true that you can traipse through a myriad of YouTube videos or online courses. But there is nothing more effective timewise than having someone who knows what they're doing guiding you. Someone to look at the mistakes that you are making and give you the direction you need. Someone who'll go at the pace that you need your Excel training to be. Then when you have questions, that same person will give you training support because they know how you tick. They know how you handle problems. After all they've spent a day or more training you personally. That is something that an online training video just can't provide.